Product #21439 | SKU 9335 | 0.0 (no ratings yet) Thanks for your rating! 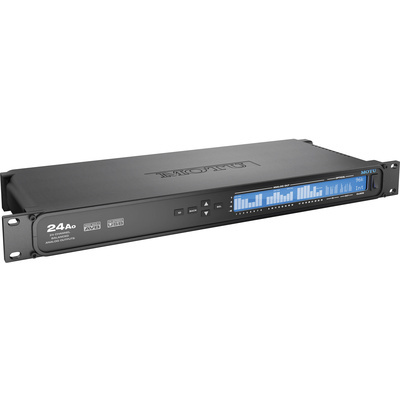 The 24Ao from MOTU is a single rack space USB 2.0 interface with industry-standard AVB networking for sub-millisecond network latency, and offers twenty-four channels of analog audio output combined with three banks of ADAT optical, for a total of seventy-two channels of I/O. The unit connects to a computer through USB 2.0, which provides more than enough bandwidth for the twenty-four analog channels, and when connected through AVB networking, supports hundreds of network channels.